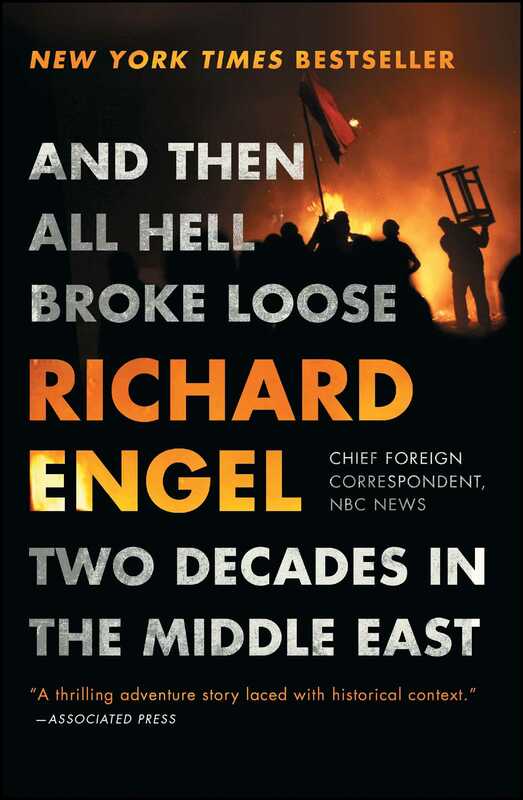 A major New York Times bestseller by NBC’s Chief Foreign Correspondent Richard Engel—this riveting story of the Middle East revolutions, the Arab Spring, war, and terrorism seen close up “should be required reading” (Booklist, starred review). In 1997, young Richard Engel, working freelance for Arab news sources, got a call that a busload of Italian tourists was massacred at a Cairo museum. This is his first view of the carnage these years would pile on. Over two decades he has been under fire, blown out of hotel beds, and taken hostage. He has watched Mubarak and Morsi in Egypt arrested and condemned, reported from Jerusalem, been through the Lebanese war, covered the shooting match in Iraq and the Libyan rebels who toppled Gaddafi, reported from Syria as Al-Qaeda stepped in, and was kidnapped in the Syrian cross currents of fighting. Engel takes the reader into Afghanistan with the Taliban and to Iraq with ISIS. In the page-turning And Then All Hell Broke Loose, he shares his “quick-paced...thrilling adventure story” (Associated Press). Engel takes chances, though not reckless ones, keeps a level head and a sense of humor, as well as a grasp of history in the making. Reporting as NBC’s Chief-Foreign Correspondent, he reveals his unparalleled access to the major figures, the gritty soldiers, and the helpless victims in the Middle East during this watershed time. His vivid story is “a nerve-racking...and informative portrait of a troubled region” (Kansas City Star) that shows the splintering of the nation states previously cobbled together by the victors of World War I. “Engel’s harrowing adventures make for gripping reading” (The New York Times) and his unforgettable view of the suffering and despair of the local populations offers a succinct and authoritative account of our ever-changing world. THE OFFICES OF THE MIDDLE East times were in the Zamalek neighborhood of Cairo, on an island in the Nile. Zamalek was a cosmopolitan oasis, with nineteenth-century apartment blocks and villas. It was known for its restaurants and cafés and was a favorite of European expats. You could go into a restaurant in Zamalek, find a waiter who spoke English, and get a beer and Western food. When the phone rang at midday, one of our tipsters said there had been a shooting on a tourist bus in front of the Egyptian Museum. The museum is in Tahrir Square, the busiest part of downtown, the Times Square of Cairo. The newspaper was a short hop away. You go across one bridge and you’re almost there. I jumped in a cab and arrived five minutes later. Our tipster had been fast because the attack had just happened. 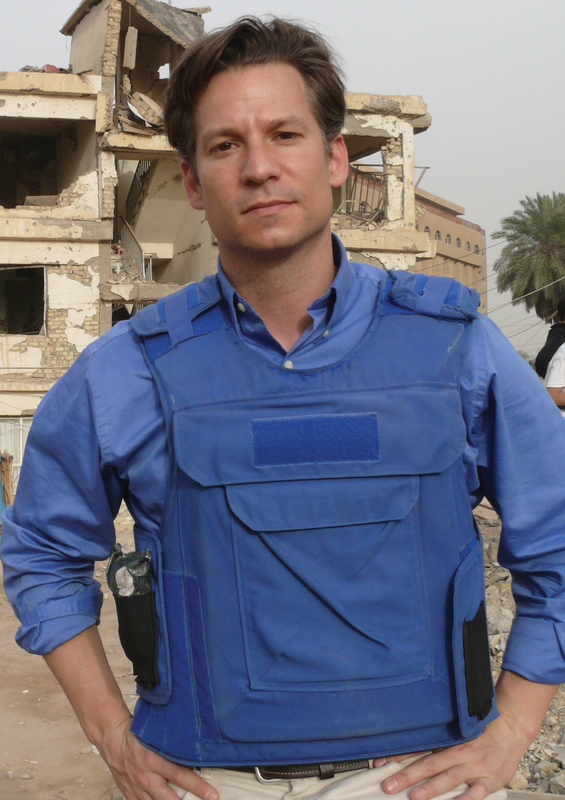 Richard Engel is the award winning Chief-Foreign Correspondent for NBC and has been in the Middle East war zone for over twenty years. He is the author of And Then All Hell Broke Loose, War Journal, and A Fist in the Hornet’s Nest. “Engel’s harrowing adventures make for gripping reading . . . he deftly uses them as a portal to look at how the Middle East has changed since he arrived in the region as a young reporter back in 1996. The result is a book that gives readers a brisk but wide-angled understanding of the calamities that have unfurled there over the last two decades . . . for readers looking for an astute, fast-paced overview, this book is a great explainer. . . . Mr. Engel, 42, gives us sharp, unnerving snapshots of events he witnessed and a visceral sense of the daily rhythms of life in Baghdad as the war turned increasingly chaotic . . . What makes Mr. Engel’s tactile eyewitness accounts particularly valuable is that they are fuel-injected with his knowledge of the history and the politics of the region. . . . Mr. Engel writes with great concision — honed, no doubt, by years of having to compress momentous stories into a few minutes on the evening news.